It’s about love. It’s about compassion. It’s about kindness and faith. It has nothing to do with luck, you get what you give. 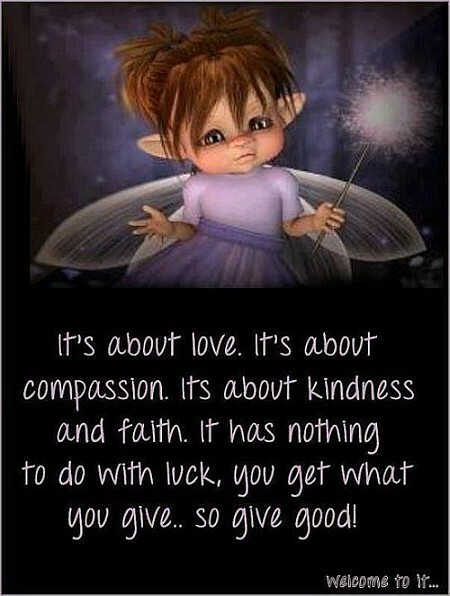 So give good!